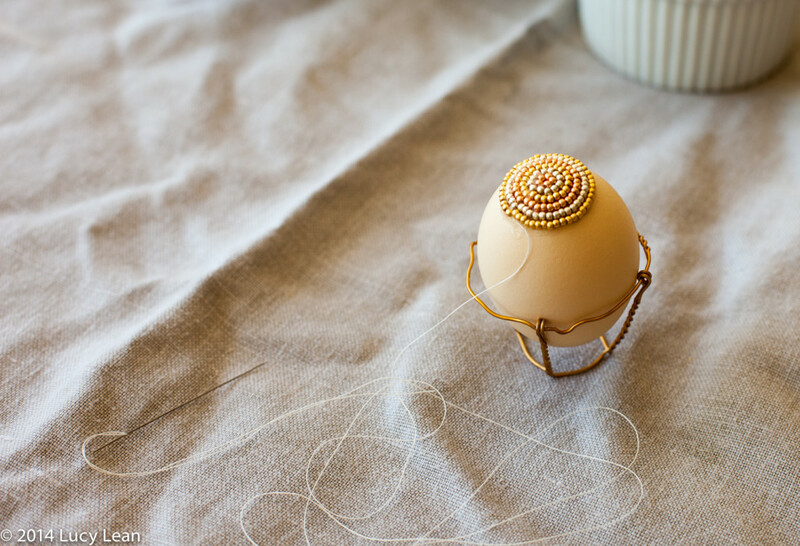 Easy Step by Step instructions on How to Make a Beaded Easter Egg – beautiful for your Easter Table or just to have around in egg cups like I do. Well that’s exactly what we are going to do here – starting today with the first of a Thousand Things… it might be a crafting project, something to bake together, learning something new, watching an old movie and then posting a recipe to go with it or even a new place to visit. 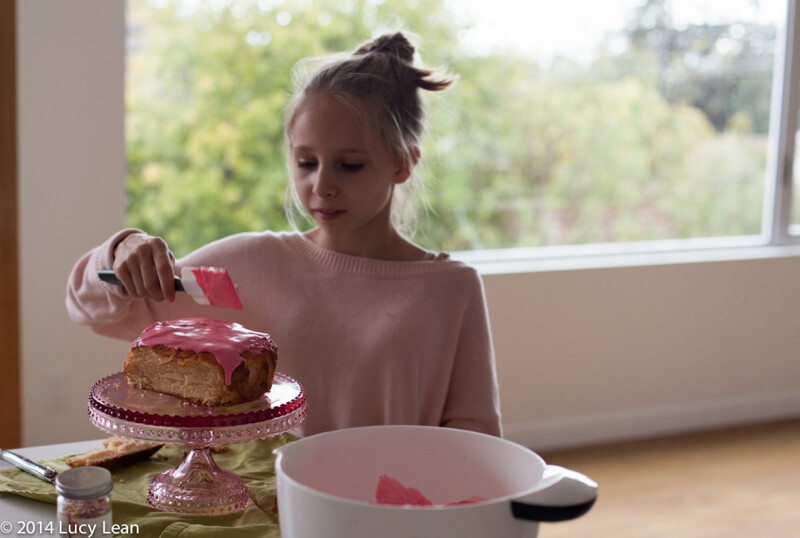 Here Minty is frosting the first ever cake she made from scratch – and rather than be a mother-daughter activity I stayed out of the kitchen and let her work her magic. She no longer needs my help when it comes to baking and is going to start posting her recipes. We hope to inspire you to join in and so we will post How Tos and recipes where relevant… and please share with us what you make and do. 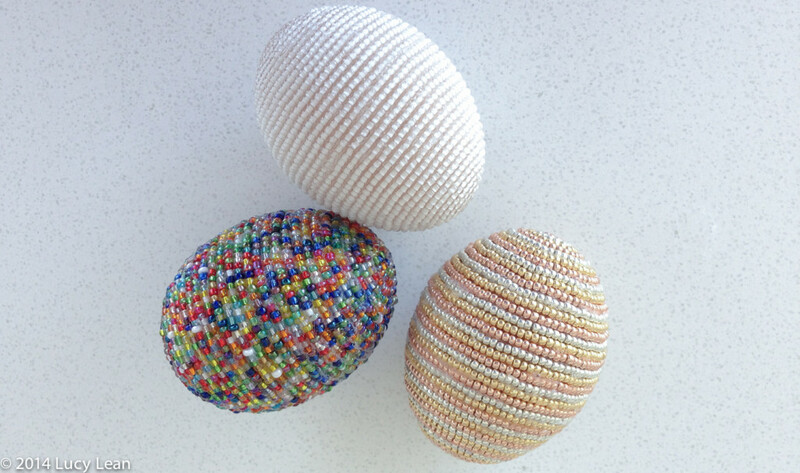 How to make a beaded egg – just in time for Easter. 1. 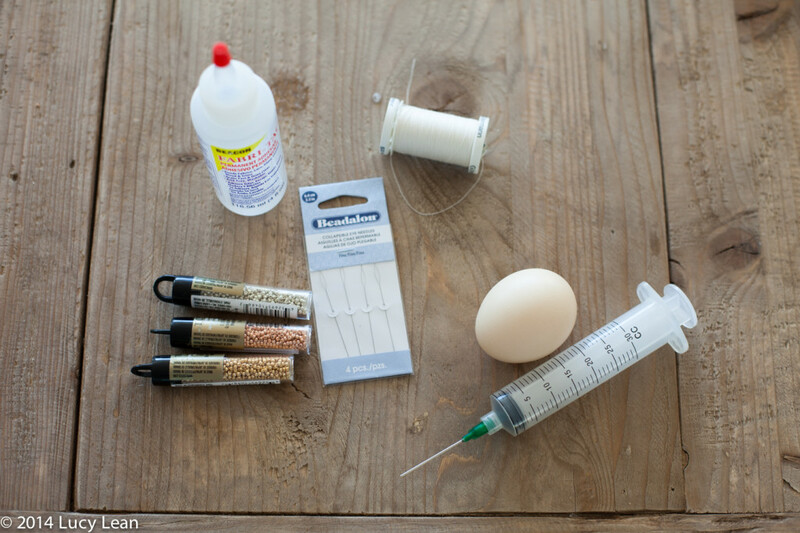 Using a pin and the syringe make two holes at the top and bottom of the egg. 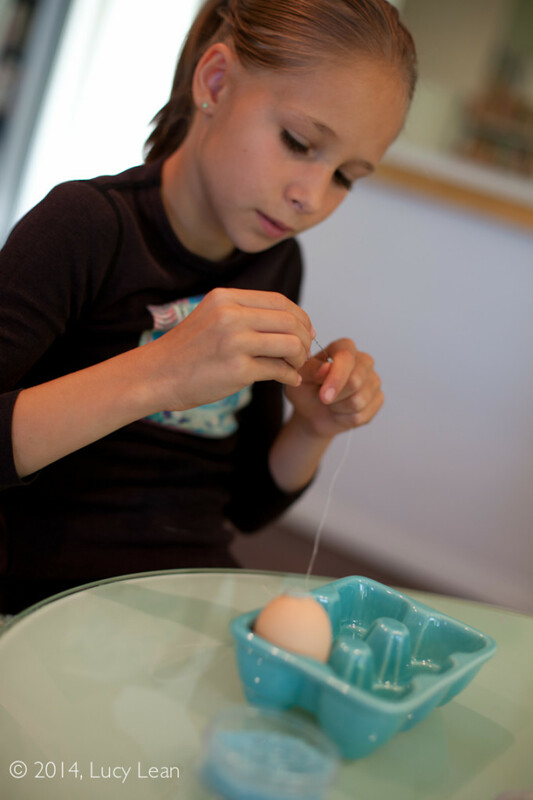 Make the hole at wide end of the egg slightly larger and insert the pin and break up the yolk inside. Insert the syringe full of air into the top hole and gentle push the air into the egg to push the egg white and yolk out. This has to be done with a mixture of force and gentle persuasion – you want to get the insides out without cracking the egg. When all the egg is out insert a syringe full of warm soapy water to wash out the inside. Rinse well by syringing in with warm water, followed by air to get the water out. Place eggs on a wire rack. Heat the oven to 250 F and place the blown eggs, bottoms down, in the oven to dry out all the water for about 10 minutes. 3. 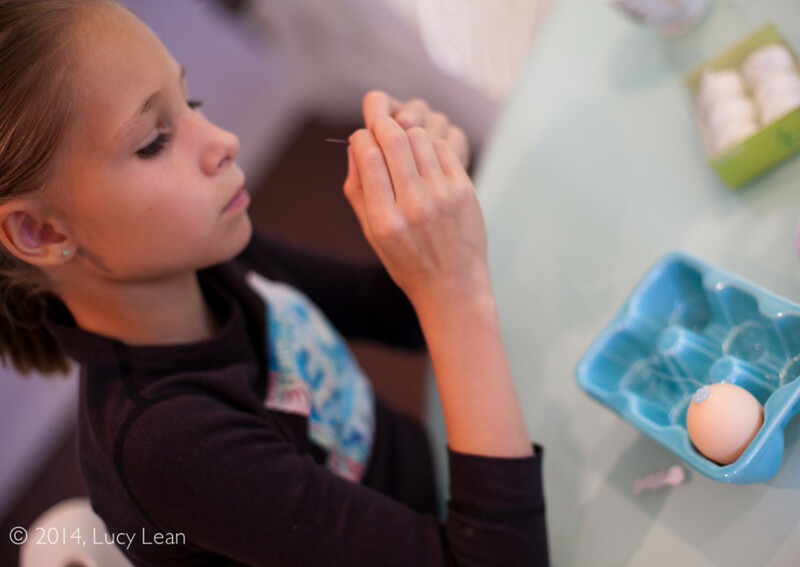 Begin to pick up some glass beads and using the glue, stick them to the egg in a small spiral. 3. Work around and around adding more beads and gluing. 4. 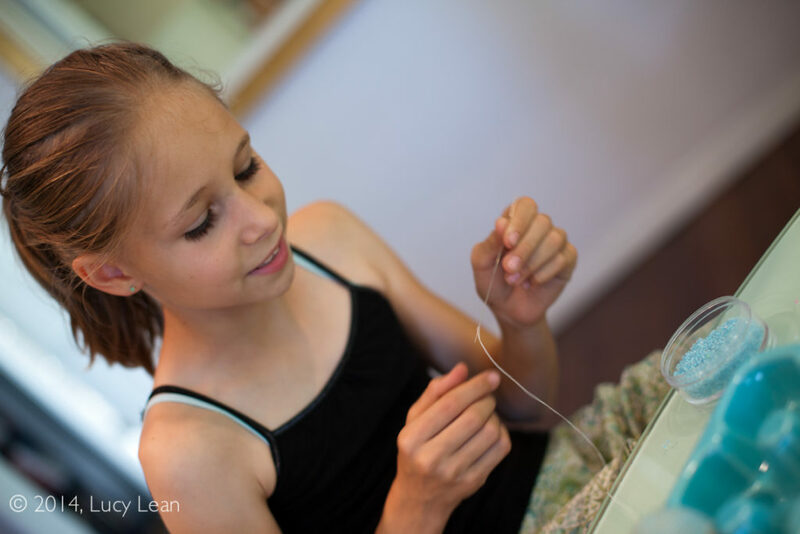 When the thread runs short take a new piece of thread and stick it along the side of the beads and pick up from the end of the old thread. 5. 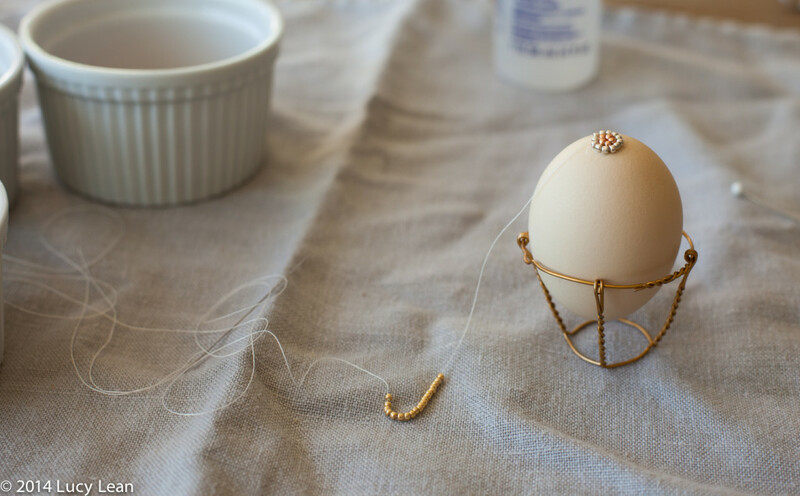 Work until the entire egg is covered with beads, cut the thread leaving about 1/4 inch which you stick down by pushing it between the beads with a pin. 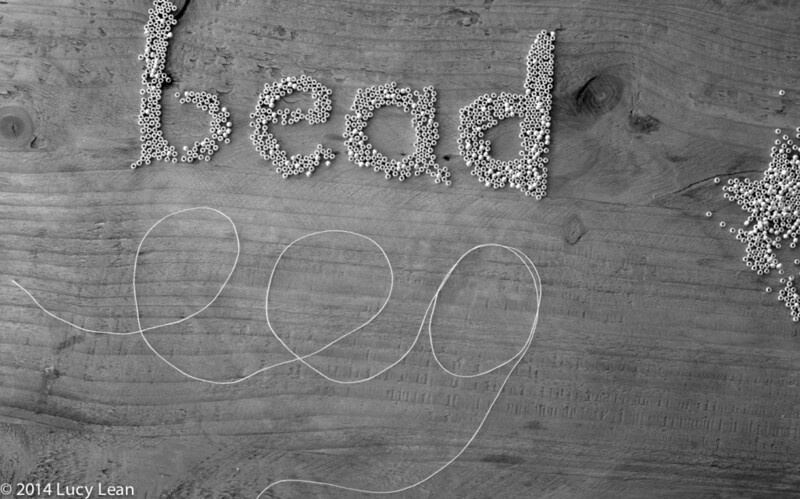 With a little practice you will be beading eggs with stripes, hundreds and thousands and even pictures – last year I did an egg with butterflies. 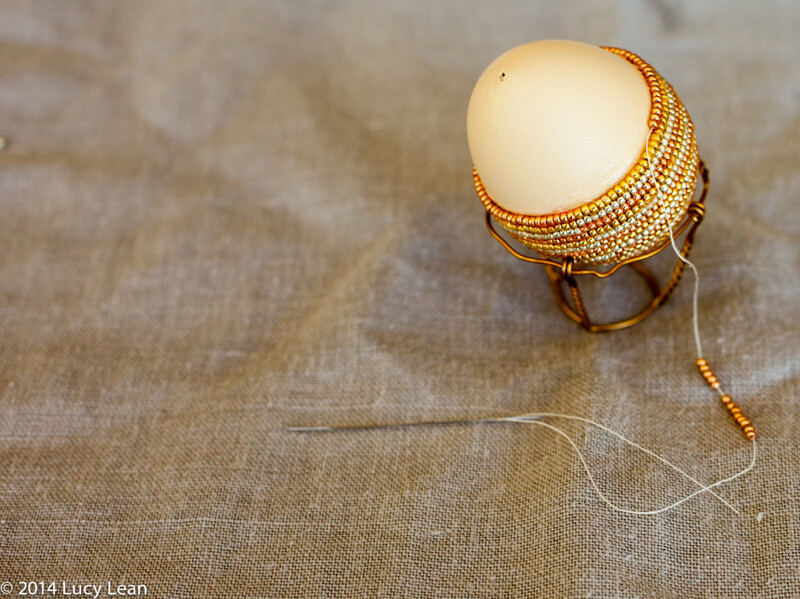 The first ever egg I beaded was at boarding school in an after school activities lesson. I was about Minty’s age and worked hard on an egg with a rainbow in a blue sky. I’m already feeling like our Thousand Things is the beginning of something extremely exciting – one down, 999 to go! What a wonderful thing! 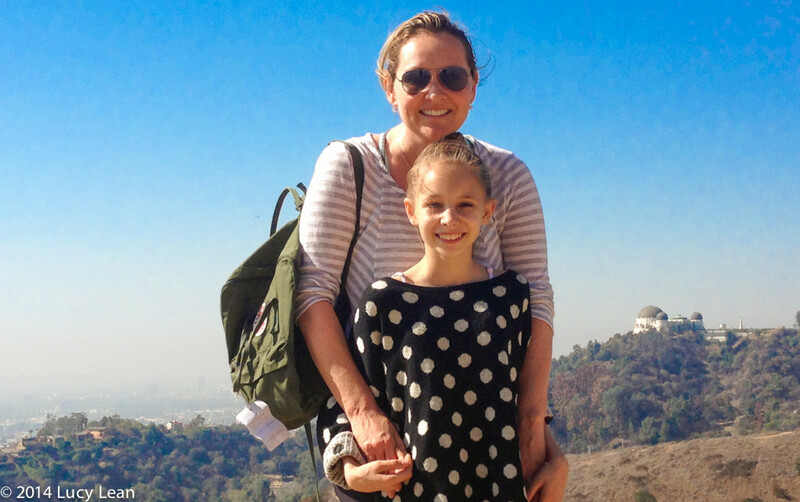 You and Minty… and the beautiful eggs!